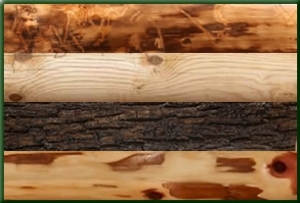 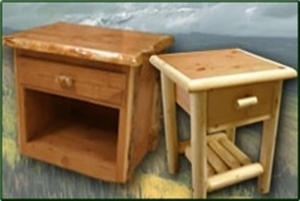 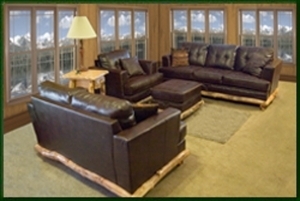 Log home furniture also extends to living rooms. 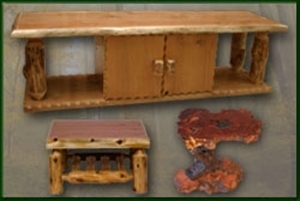 Today’s designs feature a wide variety of styles, including contemporary seating, rustic seating, coffee and couch tables, end tables, entertainment and TV stands, bookshelves and modern living room furniture. 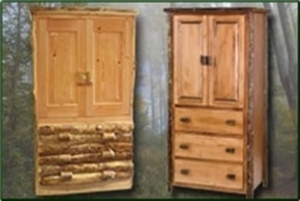 These log cabin furniture designs are ideal for mountain or river homes and look sensational paired with simple, yet rustic-style designs.